Eva—known to all as Lovey—grew up safe and secure in Oxford, MS, surrounded by a rich literary history and her mother’s stunning flower gardens. But a shed fire, and the injuries that it caused, seemed to change everything…especially when her older sister, Bitsy, blamed Lovey for the irreparable damage. Years ago, Lovey chose to leave her family and the South far behind. But now that she’s returned, she’s realizing things at home were never what they seemed. Julie Cantrell is an award-winning New York Times and USA Today bestselling author, teacher, and TEDx presenter. 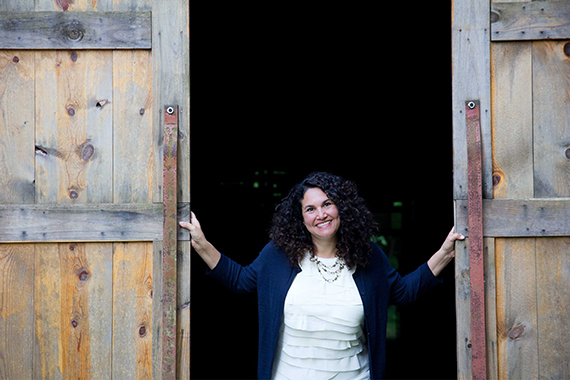 She has served as editor-in-chief of the Southern Literary Review. Julie’s writing has earned starred reviews by Library Journal and Publishers Weekly and has won or finaled for industry prizes including the SIBA Southern Book Prize, Mississippi Library Association’s Fiction Award, American Christian Fiction Writers’ Carol Award and Evangelical Christian Publishers Association’s Christy Awards. Cantrell is a recipient of the Mississippi Arts Commission Literary Fellowship and was named a finalist for the 2017 Mississippi Institute of Arts and Letters Fiction Award. 1. We start the book with Lovey, Bitsy, Fisher, and Finn catching fireflies during their Mississippi childhood. The scene depicts an innocent, happy group of friends, a safe and loyal family home, and a strong connection to the landscape that has formed them all. Yet when newcomer Blaire Dayton arrives in her fancy dress, Bitsy crumbles. Why do you think Bitsy was affected so significantly by Blaire’s critical comment? Why did Lovey present an entirely different reaction? How have you reacted to criticism in your life? 2. Throughout the book we witness sibling rivalry between Lovey and Bitsy, some of it particularly cruel. Do you believe Bitsy loves her sister? Why does she treat Lovey with such contempt? How healthy are your sibling relationships? What steps can you take to improve them? 3. The book explores family relationships including that of Chief and Mother, a happily married couple celebrating fifty years of matrimony. Do you know any couples who have achieved such a harmonious partnership in real life? What do Lovey and Bitsy learn from their parents about love and marriage? What mistakes do they make in trying to replicate that ideal family model? In the end Mother explains what Chief really meant by his mantra “Family First.” What does Family First mean to you? What do you want your children and grandchildren to know of love? 4. What meaning do you take from the story of Judas? Have you ever been betrayed? If so, have you forgiven the person who hurt you? Have you ever betrayed anyone? If so, have you forgiven yourself and/or asked for forgiveness? 5. Lovey’s favorite Wizard of Oz character was Glinda, the Witch of the South. She was described as being “kind to everyone . 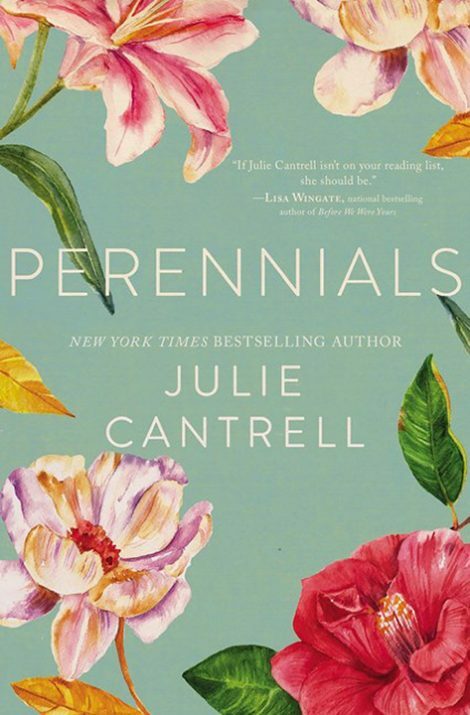 . . a beautiful woman, who knows how to keep young in spite of the many years she has lived.” How does each woman in Perennials try to stay young? What does it mean to be young of heart? 6. Chief and Laurel gave the girls a wonderful, supportive family, but they weren’t always able to give the girls the emotional support they needed. How can we offer healthy emotional support to the people in our lives? Why is such support so important? What characters offer this to one another in the book? 7. Fireflies play an important part in Lovey’s life. She realizes that even when the lid is removed, the fireflies don’t always leave the jar. How does this apply to Lovey’s life? In nature, fireflies light in order to find their mates. Sometimes, a firefly shines her light only to discover that no light is signaled in return. How does this relate to Lovey’s attempt to offer love to people who aren’t always able to give or receive love in return? Discuss other lessons nature teaches us. 8. Lovey discusses F-words throughout this story. In the end she names her barn cat Phoenix, a play on the F-word theme. In literature the phoenix must burn to emerge from the fire. Who has emerged from the fire in this novel? How have you survived your own “fires” in life? 9. When The Dragon is defeated, Brynn acknowledges that she never could have survived the “fight” without Lovey on her side. Lovey doesn’t begin to heal until Chief finally says he believes her and believes in her. How important is it to have one “constant” person in our lives to help us remember our own truth? What does the story of David and Goliath teach us about fighting such monsters even when we have to face them on our own? 10. The book presents many symbols. In the prayer garden, new growth surrounds the hardened stones of the labyrinth. The memory garden includes a four-tiered wall of stone. Lovey visits statues of the White Tara and Mary. She wears a timepiece charm. The medicine wheel incorporates the cross and the circle. The Reed Incident takes place in the Tortolita Mountains. Lovey works for a firm named Apogee. And, of course, flowers play a predominant role, including the resurrection fern, the cleome, and the scentless rose. What does each of these symbols represent? 11. Despite the reconciliation between the two sisters by book’s end, Bitsy has yet to confess to starting the fire, nor has she apologized for many of the destructive choices she has made to harm Lovey. Mother tells Lovey that we don’t always get the apology we need. How does Lovey learn to forgive Bitsy in spite of this? Do you believe Bitsy has changed? Will she continue to hurt Lovey? How do you think Lovey might respond differently now that she has learned to reclaim her own truth? How does this relate to the advice Eudora Welty supposedly offered Lovey from the sketched portrait (“Liars only have as much power as you give them. Claim your own truth”)? 12. Adam and Eve’s story begins in the Garden of Eden. Lovey remembers that God called it “good.” What does Lovey come to learn about “the garden” by the end of the book, and how does this relate to her life as a whole? 13. Mother tells the girls they have been giving too much of themselves to the wrong people, the wrong goals. Have you ever been spread too thin, trying to nourish too many things in your life’s garden? Would you benefit from a little weeding in your own life? How does Lovey learn to make wise choices, understanding when to say no and when to say yes? What do Lovey and Bitsy learn from the “hardening” season? 14. In the end, what does Lovey learn from each of the people and experiences in her life? What have you learned from reading this novel? How might your life change as a result?